George’s railroad wasn’t quite finished when I delivered it to him, back in the fall. I made a few trips to his place to tune the track a little, and apply ballast, but it still lacked the trees I had promised him. 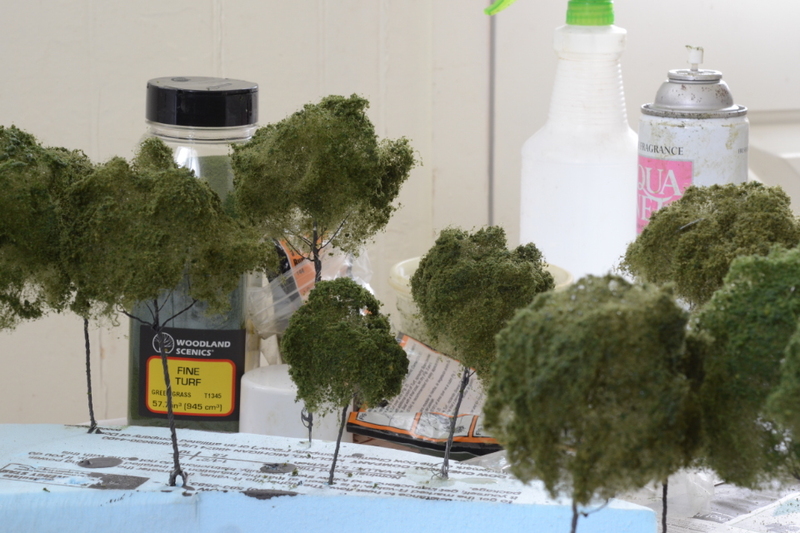 Making trees is a messy job, especially when my dollar-store can of Aqua-Net blows hairspray in unintended directions. Can you blame me for procrastinating just a wee little bit on this task? Posted in Scenery and tagged George's layout, trees on January 19, 2015 by Jeff Faust. George’s N scale railroad still isn’t finished, but the clock was running out on my borrowed workbench, so I had to deliver what I had. George indicated that he was quite happy to accept delivery, so long as he could run trains on it. Posted in Scenery, Track and tagged airbrush, George's layout, N scale on October 18, 2014 by Jeff Faust. Ever since the carpentry work was completed, I’ve been working on George’s layout in borrowed space, and I promised to vacate that space by the end of the month. The whole retaining-wall adventure took way more time than I had anticipated. The entire layout, in fact, has taken way more time. Now I’m on a push to make that time up. 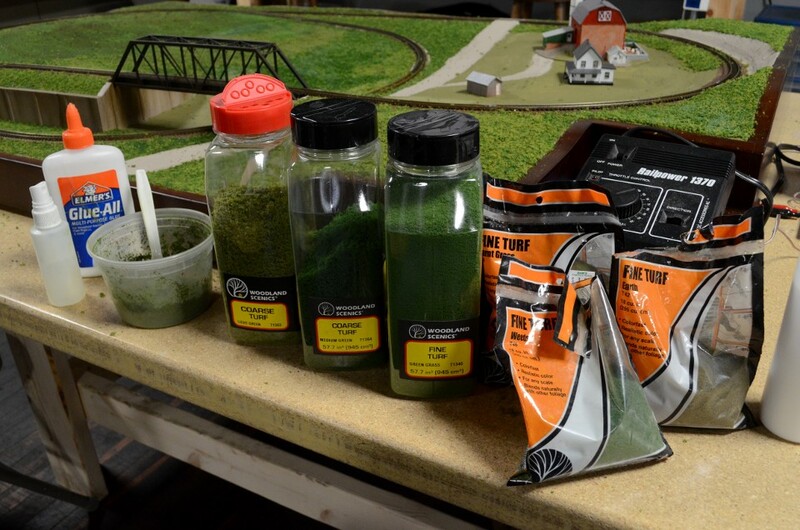 Posted in Scenery and tagged George's layout, ground foam, N scale on October 11, 2014 by Jeff Faust. 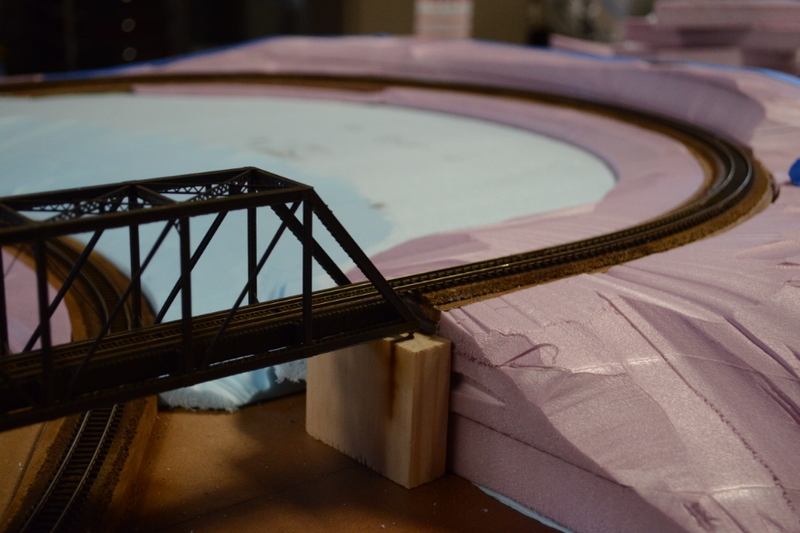 Posted in Scenery and tagged casting, George's layout, N scale, plaster on October 4, 2014 by Jeff Faust. 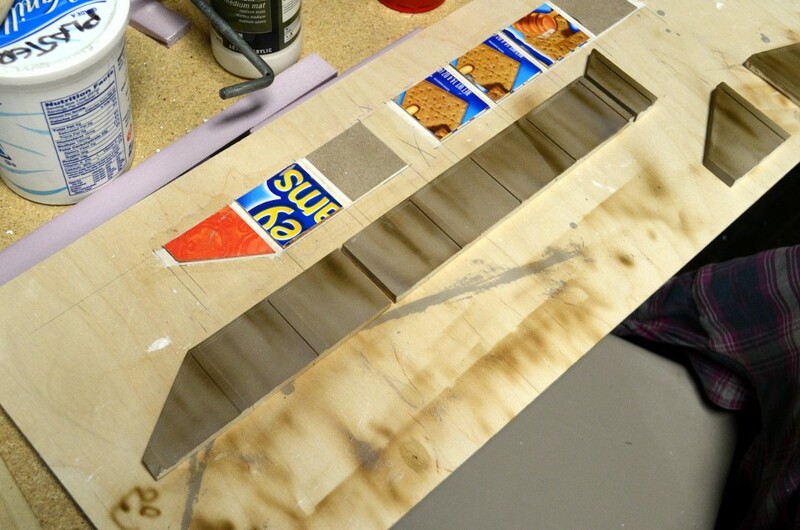 This blog opens as I’m deeply into the construction of an N scale railroad for George. Benchwork, track, wiring, and rough scenery are complete, and I’ve got ground cover on one end of the railroad. Right now I’m doing the masonry work—more on that in the next post. After that, it’s the remaining ground cover, trees, structures, and other finishing touches, before I deliver it to George’s living room. 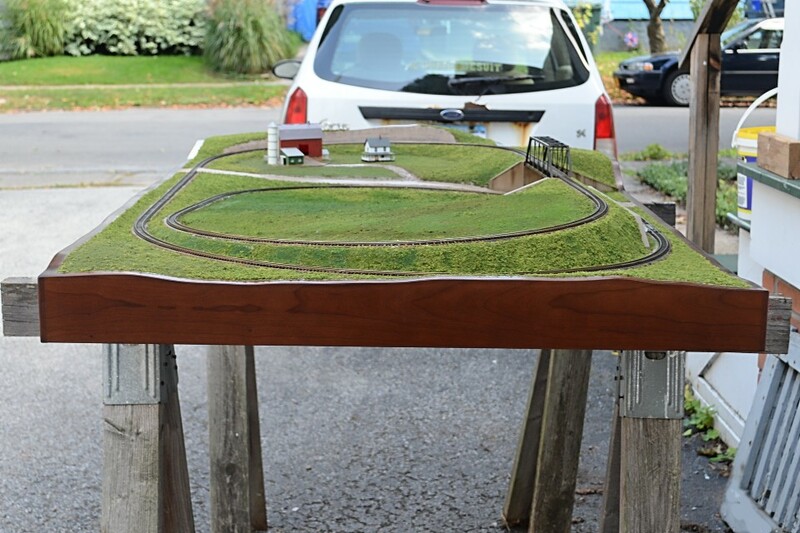 Posted in Overview and tagged George's layout, N scale on September 27, 2014 by Jeff Faust.